Jay is back, Kai is lurking, Dexter is racking up wins, but Phil is on top. Who will remain standing at the deepest Mr. Olympia in memory? It has become common to hear people say when previewing the Joe Weider's Olympia that each passing event is much bigger and better than the last. Sometimes this is true, but not always. This year's field, however, lives up to all the superlatives. Not only has the number of top-level competitors increased, but the quality of each has improved tremendously. Three former winners vie to return to the promised land in 2013. Equally impressive, seven of the bodybuilders in my top-10 predictions have been finished in the top three at some point. This means that there are many competitors who know what it takes to separate themselves from the pack, but not enough chairs to hold them all. So don't be surprised if someone takes a shocking leap up—like Shawn Rhoden did last year—or if another falls down. Four of the five top finishers from last year haven't set foot on stage since last fall, showing just how important this year's title is to them. The fifth, Dexter Jackson, has been on a title-hoarding rampage and would like nothing better than to defy Father Time once again. Last year's battle between Kai Greene and Phil Heath was intense and fascinating enough to be the subject of its own feature-length documentary, Generation Iron. What's crazy is that this year's lineup may be even better. The results will definitely be worth witnessing and savoring moment by moment in the live webcast here on Bodybuilding.com. Until then, let the debate over my predictions rage on in the comments! In 2007, many felt that Martinez should have beaten Jay Cutler to win the Olympia title. He's struggled with conditioning and injuries ever since, but with a big win at this year's Toronto Pro and a 2nd-place finish at the New York Pro, "The Dominican Dominator" has shown he still has the physical goods to challenge on the sport's biggest stage. Known for his great shape and quality mass, Martinez can never be counted out of any lineup, even one as deep as this Olympia field. While he remains a firm fan favorite with an established legacy, I expect this former Arnold Classic champion to fall just outside the top standings this year. This is no slight on Martinez; rather, it speaks to the impressiveness of the new generation of pro bodybuilding greats. Since placing fourth at the 2008 Olympia, Dennis Wolf has—notwithstanding a few setbacks along the way—steadily improved his physique to the point he has made the top six his annual Olympia home. Over the course of four pro titles and two consecutive 2nd-place finishes at the last two Arnold Classic events, Wolf has solidified his position as a top-tier pro threat. Unfortunately, he hasn't quite been able to bring his best on the biggest stage of them all. He may surprise us all, but it's unlikely given the unparalleled depth of this year's field. I see Wolf, like Martinez, fighting for survival outside of the top six. Two pro wins in 2012, including a victory at the Arnold Classic, made for a triumphant return to the sport for Warren. His 5th-place finish at the Olympia was nothing to sneeze at either, although it fell well below what many expected of him. Nevertheless, he remains one of today's most popular pros, and his 8-year pro career will be remembered as stellar even if he never grasps the coveted Sandow. He has the name recognition and the physical attributes to secure another top-tier Olympia placement, but this year's competition will likely be the biggest test of Warren's career. If he can nail his conditioning and bring the fresh, round muscle that won him two Arnold Classic titles, he may crack the top six. If his competition brings their respective A-games, though, he may have to settle for less. A pro bodybuilding newcomer, Mamdouh "Big Ramy" Elssbiay has a perfect record of one big win at this year's New York Pro and no losses. No IFBB pro has shown this much early promise since Phil Heath burst onto the scene with his 2006 Colorado Pro victory. With more than 280 pounds of shredded mass on his 5-foot-9 fame, Elssbiay is as large as they come. His first win came against formidable talent, including perennial great Victor Martinez, so he's looking to make a major impact in his Olympia debut. If he can bring a physique only slightly sharper and more imposing than he showed in New York, he has a solid chance of cracking the top six. 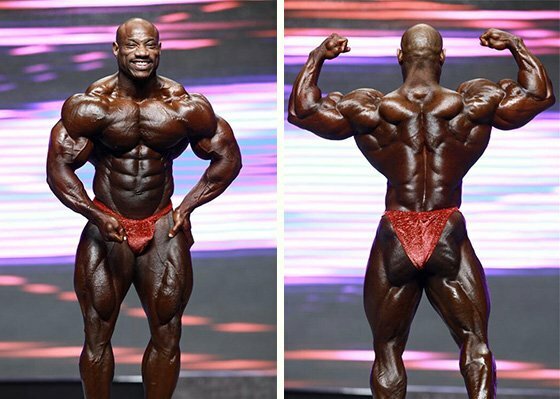 Dexter Jackson can retire secure in the knowledge that he will be considered one of pro bodybuilding's all-time greats. He secured four Arnold Classic titles, one Sandow, and a Master's Olympia title, along with a host of other pro victories in his 14-year career. The amazing thing is that this 43-year-old marvel seems to be getting better. He won his last three competitions, including this year's Arnold Classic and the Australian Pro Grand Prix. After a 4th-place finish in last year's Olympia, followed up by a victory at the Masters Olympia, who knows what he's capable of? Jackson uses his classy presentation and superb balance to thrive even when he's out-massed by 50 pounds or more. You could say he brings the same physique to every competition, but who can argue with his results? Look for "The Blade" to make this year's top six yet again. Another recent breakthrough alongside Shawn Rhoden and Mamdouh Elssbiay, Cedric McMillan has been touted as a future Olympia winner, and for good reason. The man has the complete physique and can display it to perfection. Coming off a win at the 2012 New York Pro, McMillan started 2013 strong with a 6th-place finish at the Arnold Classic. However, conditioning problems led to a shocking 12th-place finish at this year's New York event. With the recent resurgence of symmetry over sheer mass, pro bodybuilding athletes are increasingly focused upon building the complete physique. This is an ideal scenario for McMillan, who is as well-balanced as any competitor in today's pro ranks. If his conditioning is sharp, look for him to take his place among the top six for the first time. 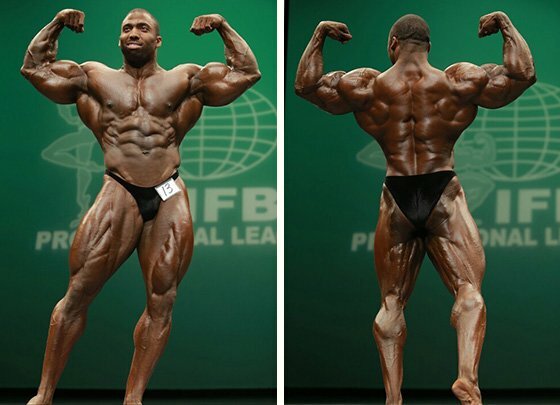 Shawn Rhoden had a near-perfect 2012, taking home four victories and capturing 3rd place at the Olympia. Seeking to capitalize on this success and his undoubted genetic potential, "Flexatron" will enter this year's Olympia as one of the top-tier favorites. At 5-foot-10 and a respectable 240 pounds, Rhoden is no slouch in the size department, though with his crazy aesthetics he doesn't appear disproportionately large. Rhoden has an optimal ratio of balance, mass, and conditioning, but it will take his best work and then some to overtake Heath and company. Jay Cutler is accustomed to duking it out with the best the IFBB has to offer. He started out in the back of the pack in 1999 Olympia, barely cracked the top 10 in 2000, and then finished either first or second in 8 of the 10 ensuing competitions. No other contender has the same type of hard-won experience fighting for this title year after year. It's easy to assume that Cutler's best work is behind him, but he should never to be underestimated. He'll be one of the largest men on this year's stage, but Cutler will need to come in shredded to the bone and boasting best-ever aesthetics to have any chance of beating the familiar names at the top. 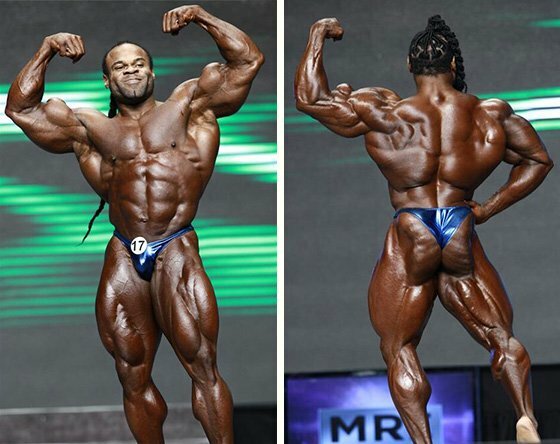 At 5-foot-8 and more than 250 pounds in contest shape, Kai Greene is one of the largest pros on the contemporary scene. That he has been able to craft such a massive physique on such a compact frame while remaining proportional and aesthetically pleasing is beyond impressive. "The Predator" is a popular pick for 2013 Olympia honors. After narrowly losing to Phil Heath in 2012 in a contest many feel he should have won, Greene will work to redeem himself before his Olympia window closes. 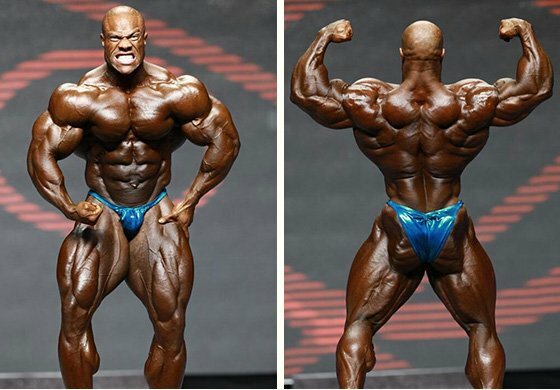 Though Ronnie Coleman is still six Sandows ahead of him, Phil Heath is already considered by many to have the best physique ever to have graced the Olympia stage. Shredded, massive, and possessing full, round muscle bellies, Heath is also proportionally near-flawless and has the aggressiveness and confidence needed to continue winning the Olympia until he is ready to retire on his own terms. Though he is at the top of his game and hungry for further success "The Gift" simply must bring his best package to date to this year's Olympia. Up against the best collection of bodybuilders ever to have converged in one place, the reigning champ will be tested more than ever.